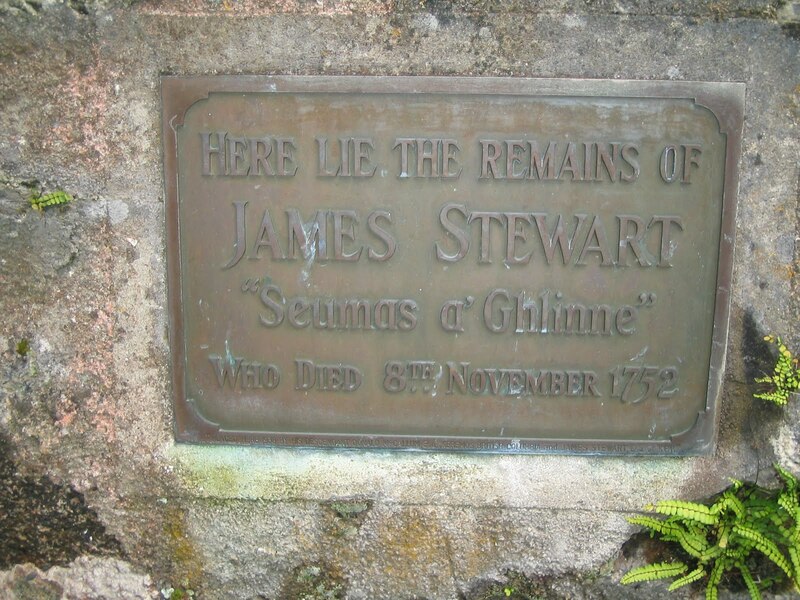 Free Scotland : Saor Alba: "Yet english Justice lingers on"
The “Judicial Murder” of Seumas a Ghlinne (James of the Glen) was much more than a conspiracy but was the culmination of a period in Scotland’s History, which some describe as the end of the old ways. There are many aspects of the story which has to be taken on board if applying analysis to the events. 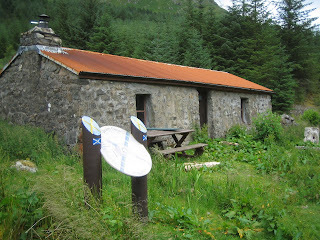 Campbell incursions into Appin had been taking place long before the 1700’s. 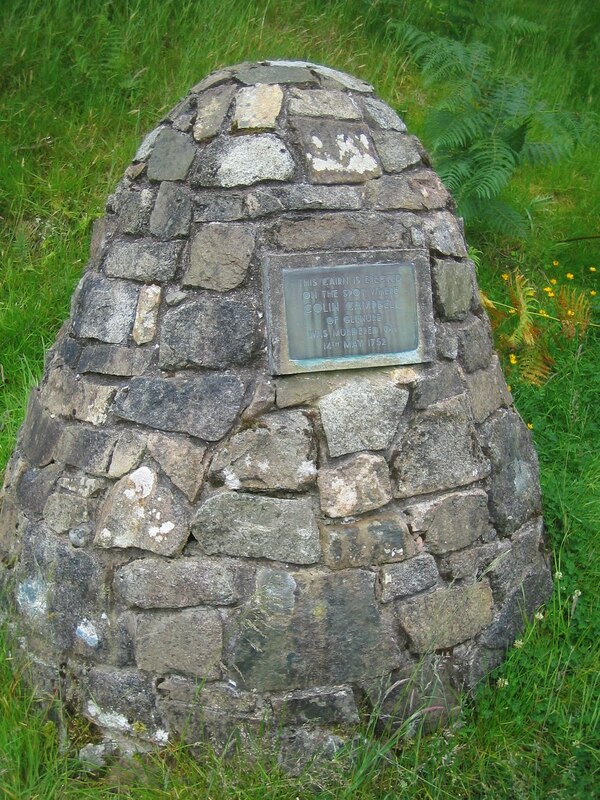 The Jacobite risings ending at Culloden in 1746 allowed the British establishment the excuse to once and for all put an end to a centuries old clan system. The fact that Seumas a Ghlinne was refused the legal assistance of the time prior to facing trial and a trial held in Inveraray presided over by the Hanoverian Duke of Argyll and including 11 men of the name Campbell all who probably knew Glenure personally ensured a show piece with 1 outcome. The hanging of Seumas a Ghlinne in 1752 at Cnap a Chaolais was nothing short of intimidation by the British Government determined to wipe out a culture and set an example. The body chained and left dangling from the gibbet for all passing to see and guarded night and day to prevent removal was left as a dangling skeleton for 50 months before the bones were finally gathered together for burial. As Scotland grasped the union with our neighbour started by James the VI our nobles and gentry fuelled by greed and wealth “enlightened” us by emptying glens and creating industrialised urban squalor. A proud nation’s history and culture pulled apart by this very greed as it became popular to be British rather than Scottish. The Appin murder was much more than a single event. James Hunter gave his excellent account of the Appin Murder the title, “Culloden and The Last Clansman” how very true that last line was. 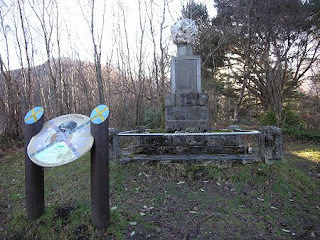 If you ever get the chance to visit the Appin area take a journey on the “Trail of The Last Clansman” starting in Glen Duror at the birthplace of Stewart of Acharn. It takes you to all the places associated with this piece of so called justice. 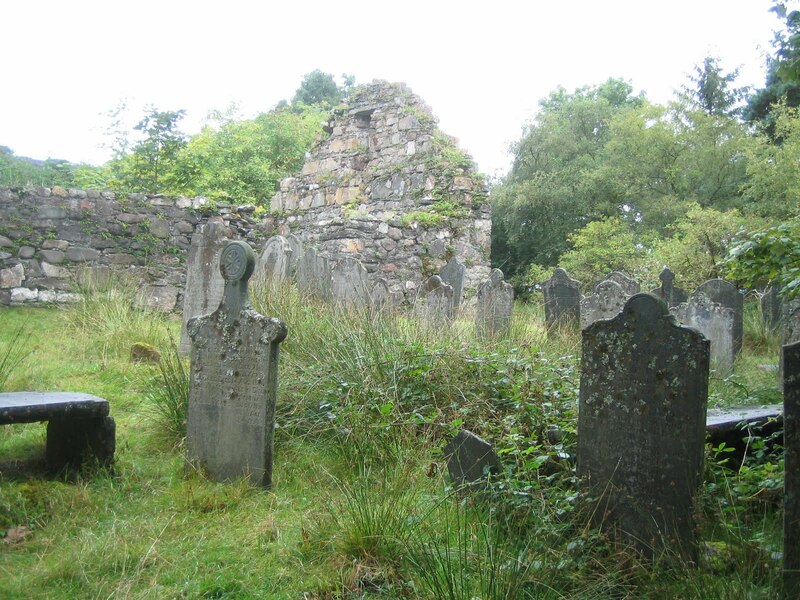 The only missing link unbelievably is the chapel and burial ground of Keil (on private ground) where his bones are interred in a corner of the ruined chapel marked by a bronze plaque. The Sabhal mor Ostaig have done an excellent job in making available many of the old written studies from the late 1800's relating to the history of the Gael and here is a worthwhile link for future reference containing many excellent pieces of research. 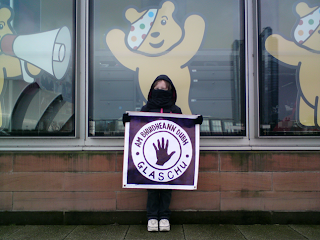 "The Transactions of the Gaelic Society of Inverness 1871-2004"
A week of much protest with photos coming in from all over Scotland. 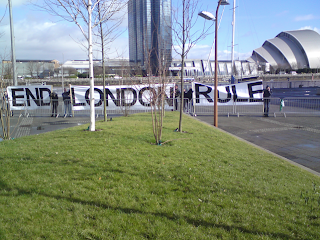 The Purcell saga and the Glasgow City Labour Councils part in its cover up were marked by a show of a large End London Rule banner in George Square. Our friends at the Am Buidheann Dubh have also been busy and there is no age limit to Nationalism and standing for your Nation. On Saturday EBC Scotland reported that the Labour Party’s spring pre-election conference at the SECC in Glasgow was graced by the banners of protest ; END LONDON RULE. Also an excellent read on James Stewart of the Glen is Culloden and The Last Clansman by James Hunter; published by Mainstream; ISBN 1-84018-483-3. 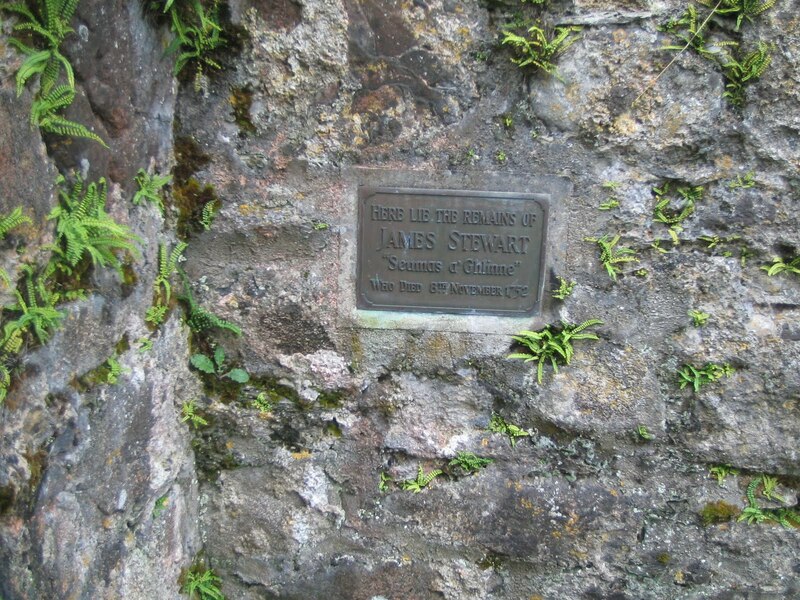 It should be noted that the family of James Stewart suffered greatly as a result of his prosecution and death. There may even be some of them buried in Stewartville Cemetery, Scotland County,North Carolina. USA. Will drop you a quick e-mail..